I was recently asked to use my expertise in user behaviour and conversion optimisation to contribute to a Google 5 day design sprint run by New Haircut. It was a very intensive, but enjoyable five days working on a new digital concept. It’s a great way of making rapid progress with a digital project and so I would like to share my thoughts on making the most of this process. 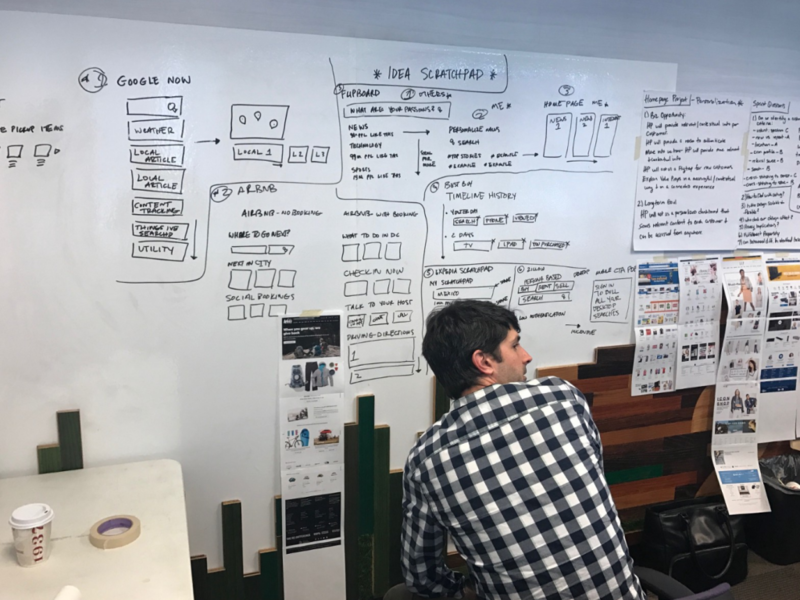 What is a Google 5 day design sprint? It’s basically a framework for rapid development and testing of a design prototype to challenge assumptions and create a user experience that meets agreed business objectives. Preparation: Briefing and recruit 8 participants. Day 3: Each member votes on the most compelling solution(s) and the UX designer visualises the whole user experience through a storyboard. Day 4: Create a realistic working prototype. Test the prototype with at least 5 prospects and record detailed reactions and feedback. The framework for designing a user experience is very effective at making rapid progress with an idea. However, before proceeding you need to have agreed a clear vision and completed research to understand the market, users and the competition as otherwise the sprint is likely to lack direction. It’s important you have a specific problem that requires a solution. The workshop preparation is very crucial for the design sprint’s success. This begins by selecting up to eight participants from different areas of the company including marketing, product, design, conversion and IT/platform to provide an understanding of technical limitations. You should also consider recruiting external expertise if necessary as it’s important to get different perspectives on the challenge and possible solutions. 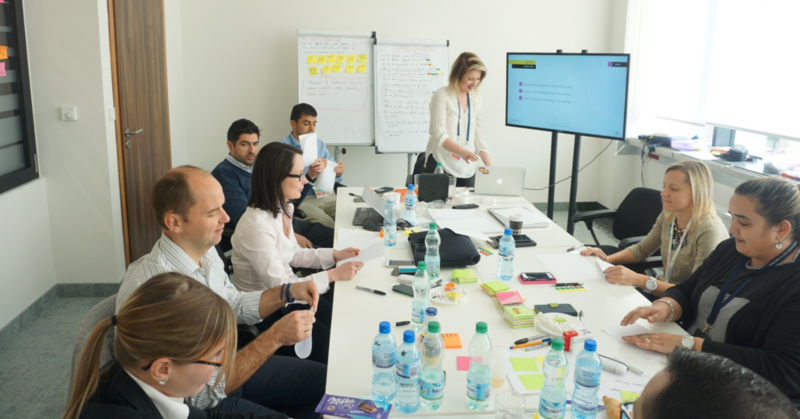 A briefing document can then be circulated to all the participants to explain the nature of the challenge, the desired outcome of the sprint and the agenda. The logistics, such as location, resources available and food should also be confirmed. Personally, I also find it useful to do some preparatory research on related subjects such as looking at how other sectors deal with the challenge and refresh my knowledge of the conversion related topics that might be needed. On day one it’s good to re-iterate the vision and discuss the overall goal of the design sprint to ensure nothing significant has changed. During a warm up session each area has the opportunity to brief the team on their area of responsibility so that everyone understands the specific business, marketing, design and technological challenges faced by the sprint. This should include feedback on the customer and the competitive landscape. As an external expert my briefing focussed on user motivations and how they are goal driven. 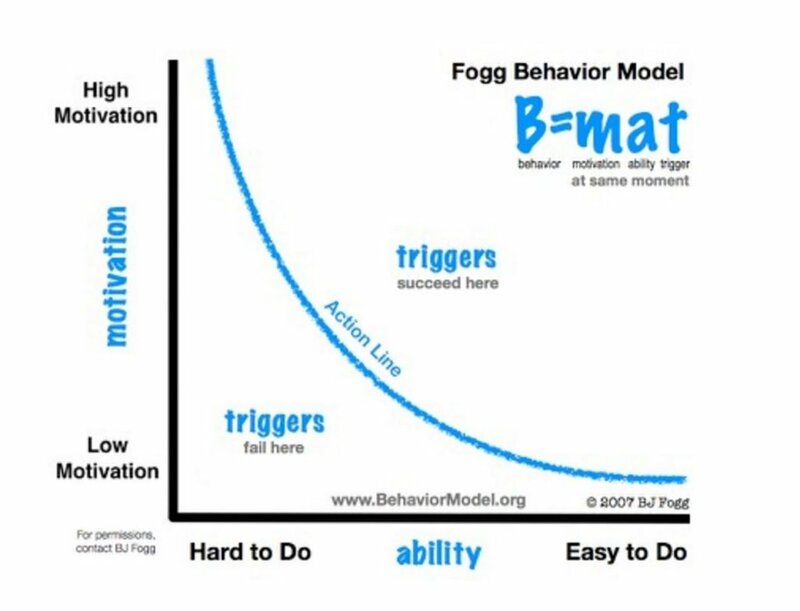 I used the BJ Fogg model to outline a useful framework to consider when designing a user journey. During these talks each member of the team wrote down “How might we” question on post-it notes to capture thoughts and ideas generated by the discussion. This kind of question encourages participants to challenge existing ways of thinking and find new solutions to the problems the group is faced with. After all the briefing sessions have been completed it is time to vote on the “how might we” statements. Each person in the team gets three dots to vote with and the sprint owner is given six dots. This stage involves defining the nature of the challenge in more detail such as creating buyer personas and identifying the individual steps of the customer journey. The user journey map is especially important as it allows the team to identify which step or steps they want to prototype and test with users. Often the team will also generate a design principles list. This comprises adjectives that we would like customers to describe the product or service. At this point the decision maker should be ready to select three “how might we” statements as targets for the prototype. This step is based upon the view that group brainstorms aren’t effective and so team members work individually to generate ideas for possible solutions. But as research suggests that our first idea is often not the best solution, this process uses the power of iteration to improve on our initial thoughts. Each participant is asked to sketch a potential UI to get started. We were then given an additional seven minutes to sketch a further seven potential UI solutions. This activity helps generate lots of different potential solutions to the problem. Participants are then given 30 minutes to sketch out all relevant UI screens for either mobile or desktop. This can be based upon any of their iterations they sketched in the 7 minutes. All user journeys are then displayed on a wall in the workshop room for everyone to review. Each member of the design sprint team now votes for their preferred solution(s) by placing dot stickers on the sketches on display. The project owner also votes but they have a different colour sticker to show their preferences. Each member of team is then asked to choose another person’s design to walk though and explain to the rest of the team. After each user journey sketch is discussed the person who designed it explains their thinking behind the design. The project owner then decided which elements of the different customer journey sketches we would take forward. However, some sprint leaders use the “Risk vs Reward” scale to evaluate each popular solution. This shows what’s easy to implement and important to customers so that the team can decide which designs to prototype. 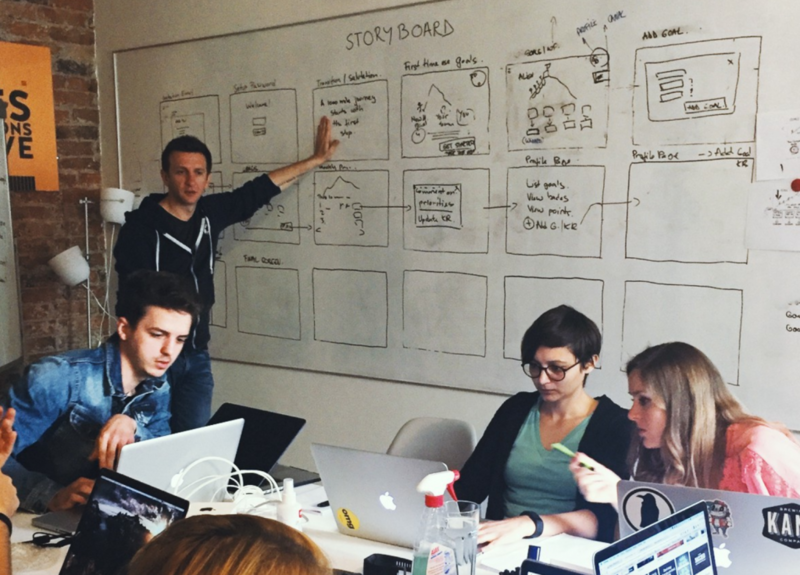 We then create a storyboard of the chosen design iterations to be discussed with the team. This allows everyone to visualise the whole user journey that will be prototyped and tested. Here the team was split into two groups. One group worked on the design of the prototype and the second group wrote the copy for the designs. It’s important to produce a prototype that is accurate and professionally designed to ensure it is clear and easy to test. Otherwise the danger is that feedback will be overly influenced by usability and design matters that will be resolved before the product is launched. The final day of the design sprint is spent watching around 5 to 8 usability tests undertaken using the working prototype. Although the number of participants may be small this kind of study can help validate whether your proposition and user experience are delivering what you set out to achieve. Usability testing is especially good at helping to refine the user journey flow, identify shortcomings and challenge assumptions. During each session we wrote down thoughts and ideas on post-it notes. 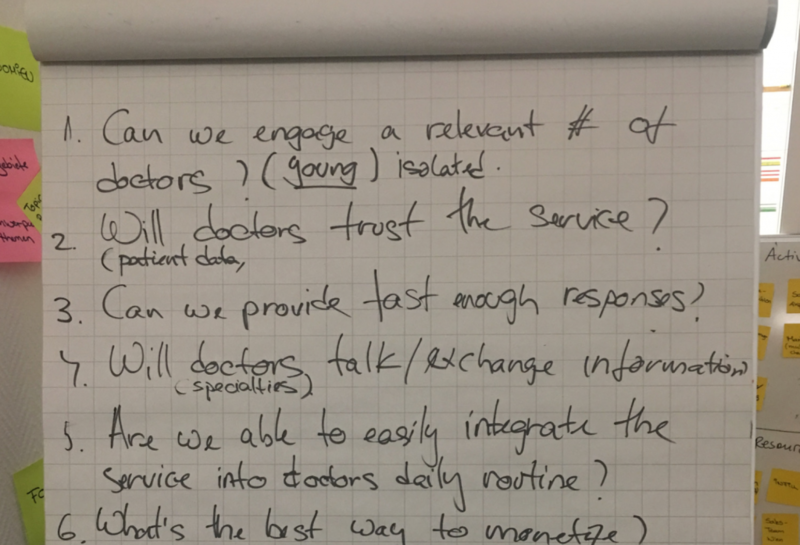 We then placed these notes on a whiteboard which was divided up into the individual stages of the prototype user journey and other relevant categories (e.g. the proposition). This provided the backdrop for our final discussion about what we had learned from the user testing and how we might change the prototype and the proposition as a result. As a conversion rate optimiser I have often been expected to help develop new concepts or product enhancements without the time or budget to validate the assumptions behind them. 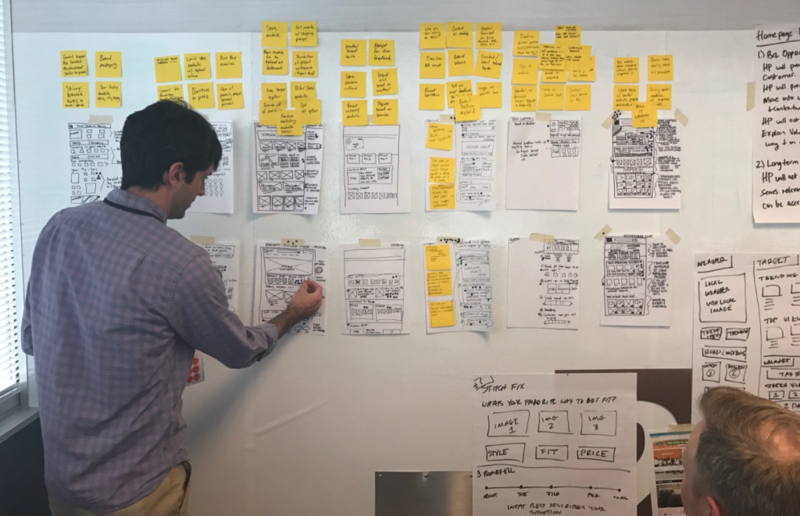 The 5 day design sprint provides a great opportunity to develop a concept using quick validations without using too much scarce resource. Technology now allows us to create quick prototypes for minimal cost and by incorporating user testing into the sprint we can obtain timely feedback to assess the potential for the solution we’ve developed. The process avoids early stage projects getting stuck in the bureaucracy of an organisation and breaks down silos by recruiting participants from across multiple departmental functions. From a conversion optimisation perspective it is also beneficial because it puts the customer needs at the centre of the process which is not always the case with new ideas and enhancements.